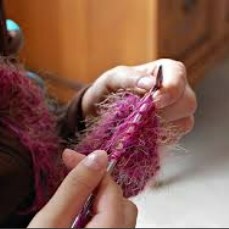 Those of us who knit and crochet know its impact on our body, mind and spirit. Join us to continue a centuries-old tradition of blending creativity with reflection and sharing of life. Create a prayer shawl for women in our veteran’s program or bring your own project. Skills will be shared and fun had by all. Beginners welcome. The program takes place in Cranaleith’s historic home. Some patterns and materials will be provided. We will be using the book Knit, Purl, Pray: 52 Devotions for the Creative Soul by Lisa Bogart. Available in our Gift Shop for $12.